North Ralaric Farms is located on the North East corner of Webster Church and North Territorial with street name of Lori Lynn Lane. 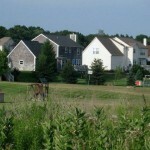 It is located in Webster Township in North Washtenaw County. 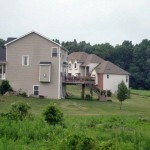 This sub was developed in 1994 with the first home built in 1996. 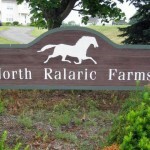 There are 32 homes in North Ralaric Farms, with a minimum of 1.3 acre giving it a rural feel. The smallest home is about 1925 square feet and ranging up to about 2650 square feet. Homes have minimum of 3 bedrooms, 2.1 baths, some with walk out basements and attached garages either front or side facing, and first floor laundry rooms. North Ralaric Farms subdivision in Dexter, MI 48130 is a perfect opportunity for buyers to invest in a stylish ranch or 2 story Dexter home. Here are the North Ralaric Farms master deed and amendments. Regarding the Dexter Real Estate market in north Ralaric Farms, there has been no turnover recently. 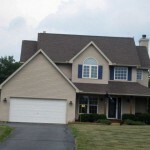 We have been honored to represent some clients in the North Ralaric Farms neighborhood in the past. All in all, this community is a great choice for many people. 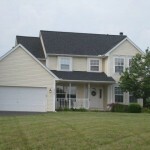 The community offers professionally designed neighborhood entrance, and is serviced by well and septic. The neighborhood children are picked up by bus to go to the highly acclaimed Dexter schools (video below). You can click here to view a video on Dexter Schools. Dexter North Ralaric Farms development is convenient to Dexter, nearby parks, Huron River Chain of Lakes, and is 10 minutes to downtown Ann Arbor and 30 minutes to Detroit Metro airport.